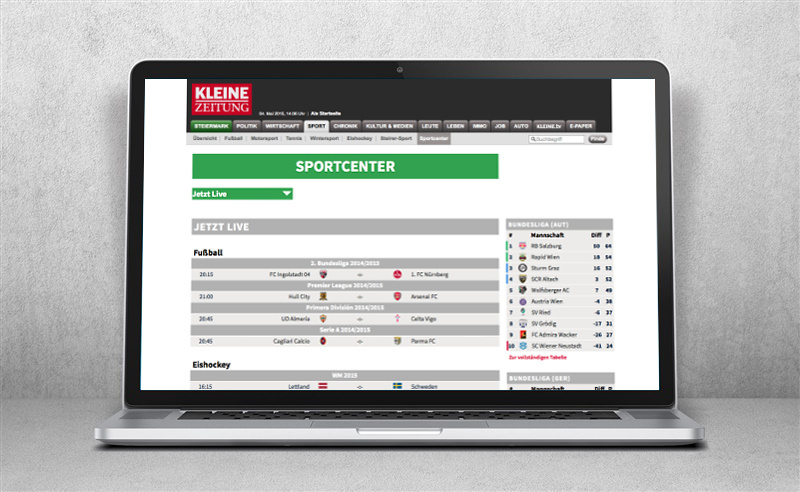 After its launch in the Spring of 2015, the kleinezeitung.at portal will again be supplied during the coming two years with E2 sports data. The celebrity partner from the Styria Media Group, the second largest media company in Austria is thereby placing its confidence in the competence of E2 until at least the end of 2018. 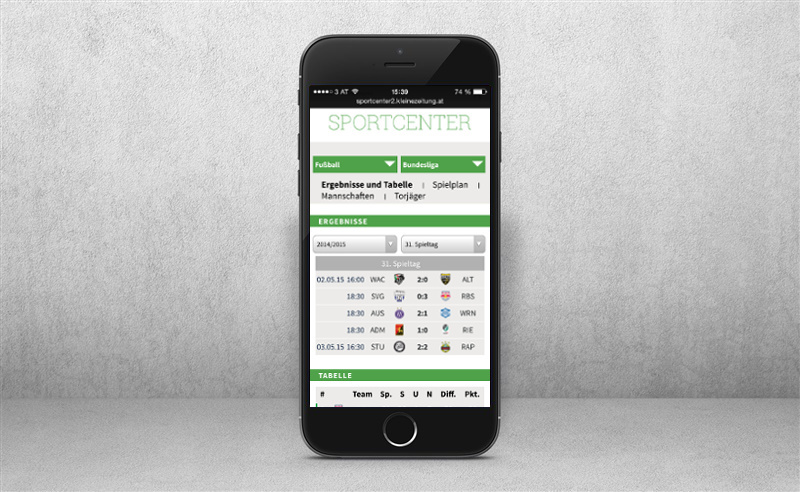 In addition to the implementation of data modules for integration into editorial content, E2 together with HEIM:SPIEL has provided for the technical implementation of a compact Sports Center, that makes all types of sports and athletic competition available on the desktop as well as on its mobile version (MEW & App) in an uncluttered and user-friendly way.